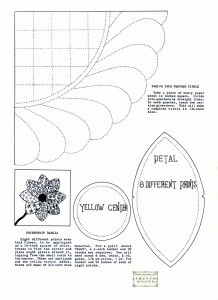 Great way to use up scraps in this dahlia applique quilt pattern. 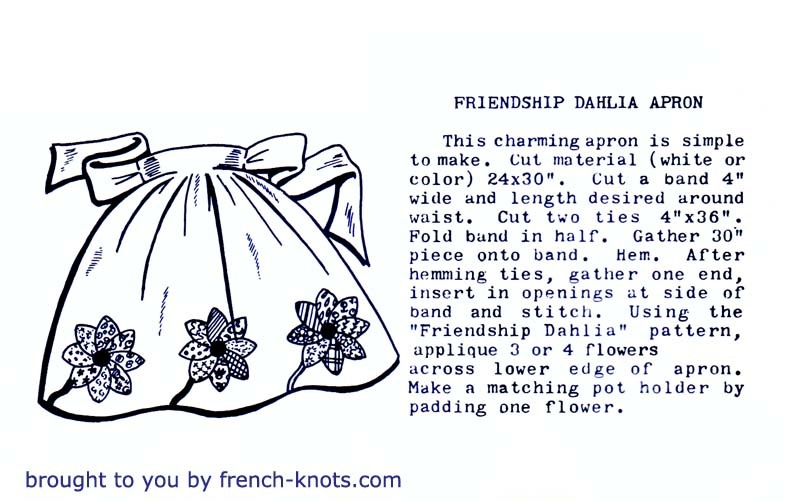 There is also an apron pattern using the dahlia for applique. 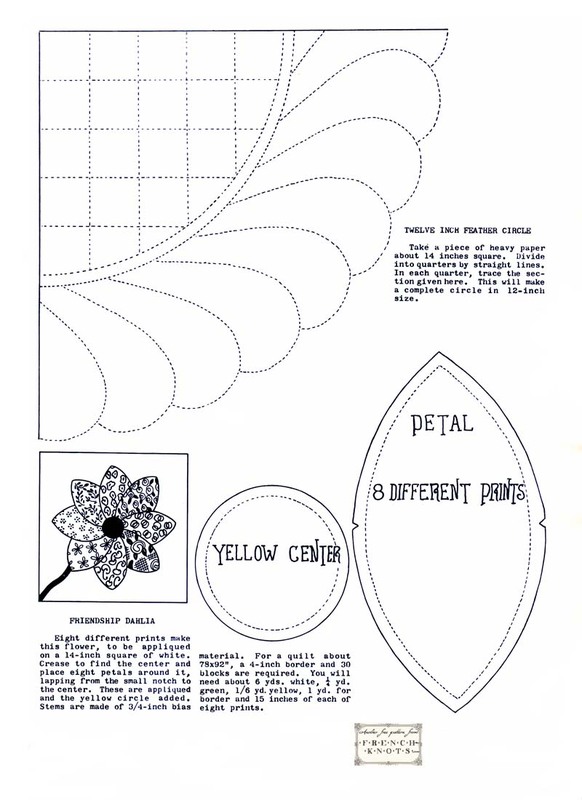 Thank you so very much for posting these vintage patterns. They are ones that I have always wanted to try. Now that I have the time I am going to get right at them!!! !